We might have small puppies, but these puppies have super dirty little paws. Especially when we go to the dog park (whats up with the dirt at the dog park, it's either WAY WAY dusty or WAY WAY muddy). Anyways, Eric hated putting them on the seats, and I hate when he puts them in the foot wells, so because Pinterest is my lover, I figured I could make my own. This project didn't start off so well. We were in Fabricland humming and hawing over how much fabric to buy. Eric said the car was 3 metres wide. We bought 6 metres of fabric. of both the flannel and the twill. Our car actually measures at 1.54 metres. Needless to say, there might be some Christmas gifts to this tune. The original pinner did a much better job than I did. But I wanted to keep it simple. This was one of those Measure a QUAZILLION TIMES. I was worried I cut too small considering seam allowances. Thank goodness this wasn't the case! I ended up cutting a square. Just the right width of the fabric for the length and width of my car. I top stitched the whole thing! Hi there! I am glad to stop by your site and know more about pet seat cover. Keep it up! This is a good read. I will be looking forward to visit your page again and for your other posts as well. 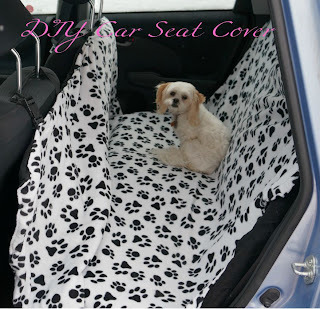 Thank you for sharing your thoughts about pet seat cover in your area. Great post, I appreciate you and I would like to read your next post protein shake shaker bottle. That really is quite excellent information.i consider that it's invaluable information. Great site. Maintain it Car Covers.